Astrology is a part of science but it is always not called as exact science but instead it is called as inexact science. Still a lot of people believe in astrology & don't as they think it cannot be taken seriously & the universities did not have astrology as a subject as they want to keep that section of science only which gives them facts & data. But we cannot deny that astrology is very much connected with our lives. Like we all know that when a child is born in India, the doctors keep a record of the time the child was born so that horoscopes can be made later with the help of it. Sometimes children are named by following the alphabets in their birth chart. Astrology is mainly studying the positions of the planets & how they can change the life of people in this earth. By learning about these planets positions astrologers try to predict future of a human being. In marriage also the horoscopes of both husband & wife are matched and checked that they will make a good pair or not. 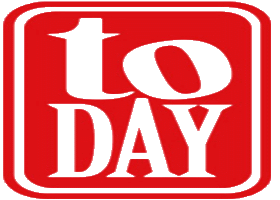 Horoscope is the most important thing when it comes to astrology. Astrology helps in finding the talent people have, it helps people to live a happy & prosperous life. There are many problems in human lives which can be solved by using astrology like, health related problems, marriage problems, love related, extramarital affair, divorce, manglik, lucky date, property & the list goes on long. We could simply say that our can be made real beautiful if we consult a good astrologer. There is also a lot with the planets as different planets create different zodiac signs. Zodiac sign of sun is Leo. There are others as well like the planet mercury has two zodiac signs Virgo & Gemini. Venus also has two signs Taurus & Libra. Zodiac sign for moon is cancer. Mars have Aries as its zodiac sign. Likewise Jupiter has Sagittarius. Saturn the most notorious planet has Capricorn as zodiac. Saturn & Uranus both planets have combined Aquarius as zodiac. Neptune has Pisces as zodiac sign & Pluto have Scorpio as its sign. Astrologers keep in mind all the directions of the planet & help the person who is seeking help from them likewise after deeply observing his horoscope. So it can be said that it is not an easy job but you can say it is also a research. Astrologers research about observations from historic & scientific fields, and then only they can predict the future of any person. Astrology can be divided in three parts, mundane astrology, which deals with natural problems like flood, earthquake, etc. 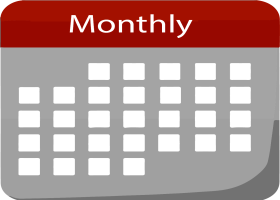 The other part is Natal astrology which deals in prediction of future by checking the horoscope of the person & the third & the final part is horary astrology, this portion deals with preparing a chart according to the horoscope & answer questions according to it. Gems come as very important aspects when we talk about Vedic astrology. Gems can help to give power to the weaker planets & brings benefit to the people wearing it. Every planet has own gemstone & that gemstone can certainly attract the cosmic rays send by the planet. In old days kings used to have a lot of gems. Some use them in dresses, some in crowns thing it will bring them more wealth & help them maintain a good health. Gems are beautiful to watch & attract all specially women. But these gems will not give any good result until cut in proper shape. In old Ayurveda gems are used to cure some diseases, mainly the ash of the gem is used there. We can say that gems are not only beautiful & used in jewelries but also can be used in a lot of ways. There are a lot of gems of different values. 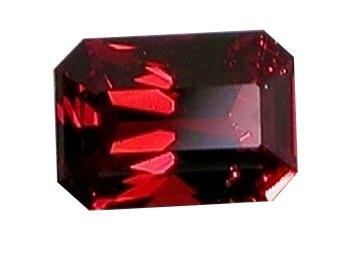 We will certainly know about some now, starting with Ruby, it is one of the most costly stones. This gem gets the power of very powerful Sun. By wearing ruby the person wearing it will be protected from any kind of negative energy & will get a lot of energy within him. It can also cure a lot of health problems like high blood pressure, heart problems, eyesight problems, etc. It can be worn in gold for some zodiac sign peoples & for others it can be used in silver as consulted by the astrologer. Another important gem is pearl which is very popular in jewelry for jewelry purpose. Pearl can be of various colors but its shape is normally round. It is an oxygen & calcium compound. Pearl gets the power of the moon. If a person wears pearl he will be protected from negative energy & get power of positivity. Pearl can also cure a lot of health issues like eyesight problem, heart problem, disorder in menstrual, etc. Pearl can be worn in a silver ring on Monday. Other gem which is widely used is Red Coral. It is found in deep sea & is made of magnesium calcium carbonate. Red coral is used for gaining positive energy & is very good for happy married life. It is used to get rid of Manglik problems. It gets the power of mars. The red coral helps in curing fever, small pox, acidity, piles, etc. Red coral must be worn on Tuesday in a gold or silver ring. The next important gem is Emerald. Normally we find it in green color & are made of oxygen, beryllium & silicate of aluminum. Emerald has the power of mercury. The person who wears it gets energy & concentration. The people who use it are mainly children who have a weak memory & students of law, commerce, etc. It helps in curing insomnia, mental disorder, stomach problems, asthma, etc. It must be worn on Wednesday using gold or silver ring. The next gem is blue sapphire which is made of aluminum oxide. It gets the power from Saturn. It has a myth that it brings pretty quick effect to the person wearing it. The wearing person gets wealth, health & good fame by wearing it. It helps in the health matters such as lack of energy, knee problem, paralysis, etc. It must be worn on Saturday in silver ring. The gem in this category is Yellow sapphire or pukhraj. It is yellow in color & made of aluminum oxide. It gets the power of Jupiter. The person wearing it gets wealth wisdom & gains knowledge. It prevents a lot of health problems like hernia, jaundice and kidney problems. It should be worn in a gold ring on Thursday morning. The next expensive gem is diamond. It is a widely used jewelry gem. It gets its power from Venus & is made of pure form of carbon. It is very good for those who are in arts field like movies, music, drama, stage shows, etc. It can cure many diseases like diabetes, urinary problems, sexual problems, etc. Diamond should be worn in 18 carat gold ring on Friday. The next one is Cats eye. The color of it normally will be brown. It is made of beryllium aluminum oxide & gets its power from Ketu. The wearing person will not be affected by ghosts, black magic, bad dreams, etc. The gem gives a lot of positive energy. It can cure urine problem, stomach problem & mental problems. It can be worn on Tuesday in a silver ring. 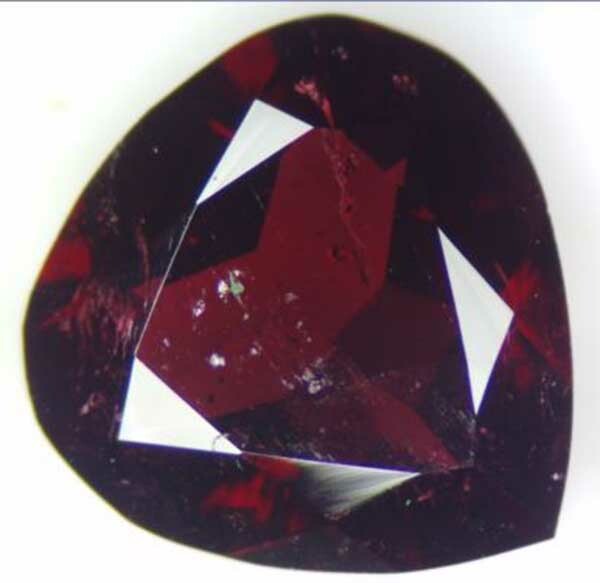 Now we will talk about Garnet gemstone which is called Gomedh in Hindi. Garnet gemstone is a gem which gets its power from rahu. Normally you can say that rahu is a harmful planet so why should we use a gem for such a planet? The answer is though rahu can be said as a harmful planet if it is in your horoscope but if the rahu sitting in centre made favorable by wearing garnet or if it is worn in state of rahu (rahu dasha), it can give the person wearing it a lot of wealth, good health & sudden fortunes. 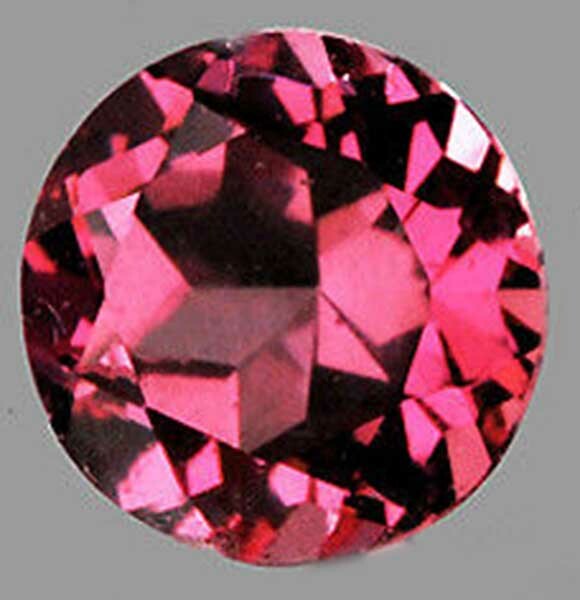 The color of the gemstone is mostly red but it has other colors also like black, blue & purple. Normally it is a mixture of different compounds. The red garnet is made of almandine and pyrope. It is used in Europe from very old age, you can say both during middle age & antiquity. It was used to convert Constantine to Christianity. The stone is meant to be very durable & is discovered in the graves older thousands of years. The stone is used also as jewelry. People associate gemstone with journeys usually. Businessmen, tradesmen, travelling persons carry it a lot. This stone is highly popular in east Africa & Australia. Some samples more than ten feet long red garnet is found there. The garnet which is used for astrological purposes must be Hessonite garnet. It must be worn on (Shukla Paksha) Saturday morning in a silver ring, dipped in milk that is not boiled or gangajal with the use of appropriate mantras. By nature you can call it a cold gem. ● Rahu is the ruler planet which gives power to this gemstone. The persons who have sarp dasha like kalsarp dasha are very much helped by the stone. Mainly it is a disorder of fear of snakes. The person who uses the gem for this problem gets a very fast relief from the problem & all its effects. ● As I told before Rahu is a harmful planet & it creates harmful effects to human like lack of confidence, illusion & other confusing problems which target the mind of a person. After wearing garnet you will get relief from these kinds of mental problems created in rahukaal & your mind will be fresh & balanced. ● A lot of diseases can be cured using this gem also which are created by the effect of rahu on human mind like cancer, fear, mental disorder, multiple personality disorder, psoriasis. If the gem suits the person wearing it then all these complicated problems will be cured fully as the problems are effect of rahu on human beings. ● It brings your enemies on their knees & you will rule over them & they will never be able to defeat you. ● Some people face huge gastric problems & bad metabolism. This stone cures these problems completely. ● If a person is suffering from problems like black magic, ghost or spirit problem or evil eye. You need to get this stone as the stone is the answer for all these problems. It can protect you from such kind of bad influences. ● This stone brings out the fear inside you & makes you strong both from inside & outside. The courage & the confidence you will get after wearing it is very high & you can take on any difficulties in life further on. ● It is very important to persons from various fields like politicians, businessmen, public relations, etc. It can create good effect there as well as it will bring success, power & fortunes also to the person wearing. 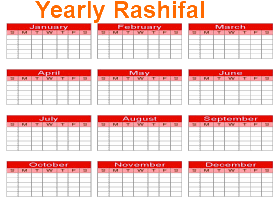 ● There are some birth charts where we can see that rahu is added there. For those people it creates a lot of problems like bad health, relationship problem, alcohol consumption, drugs problem, etc. Wearing this garnet gem will give a lot of relief in all these matters. ● It stops negative energy from attacking you & you will fill energetic due to the positive energy it creates within you. Now you may have a question in mind that how should I buy the right garnet gemstone. Actually there are a few checkpoints you have to check before buying a good quality garnet gemstone. First of all if you want to wear the stone for astrological purposes then you should search for Grossularite Hessonite garnet. The color of a good garnet must be like cow urine or pure honey. If we check against light a good garnet looks like it is filled with honey. The surface of the garnet must be clean & no scratch or dent must be there. The gem must not be broken from any side. There must be no black spots inside the garnet gem. Now there is also a question of how to take care of the gem there is process for that also. Garnet is a lot tougher if compared to other gems so chances of its breaking are less than others. The hardness of gems is measured normally in Mohs scale & garnet is 6.5 to 7.5 hard according to the Mohs scale. But if faces a hard blow or wearing roughly will certainly make it vulnerable. Garnets can be attacked by hydrofluoric acid so it must be kept away from that. Garnet should not be cleaned in steam. It must be cleaned in warm soapy water. Other safe thing to clean garnet is the ultrasonic cleaner but it must not be used against a fractured stone. Garnet can be treated by fracture filling but very rarely. There is a lot to say about this stone as it keeps in control one of the most powerful & harmful planet rahu. Rahu & ketu are the most powerful planets after Saturn because only these two planets are the reason for the solar eclipse & the lunar eclipse. Rahu sitting in the horoscope can be a huge problem if not treated well. It can cause a lot of problems both physically & mentally. It can create fear, selfishness, creates suicide mentality in people. Using the garnet after the detail reading of horoscope will keep away such problems & bring big fortunes, good health, and fame in politics & power to the person wearing the gem. But most importantly it must be worn after deeply reading & analyzing the horoscope of the person who is going to wear it because sometimes there are other planets with rahu who are creating problems with it. So to keep them calm garnet must be worn along with the combination of other stones. A good astrologer can tell you about the perfect details of the garnet you need if it is alone or must be worn with some other stones & like that only a good gemologist & can give you the perfect gem told by the astrologer. So if you are facing these kind or any kind of problems consult a good astrologer first, show him your horoscope then only he can decide whether you need garnet or some other stone. Just follow his instructions & happiness is not far away you will feel it within yourself & you could spread it among the people who are related with you like your family & friends. So after all I hope you came to know about garnet a lot more from before & if you think you are facing the same issues as mentioned above & need a garnet please consult a good astrologer first & then use it because maybe you have to use it attached with some other stones & also proper mantras & processes are needed while wearing it which a good astrologer can only tell. If you are wearing it now then I hope after reading this article you know its importance & you will be able to keep good care of it by using the processes told here. Garnet is one of the dull colored healing stones, which gets its shine once it is cut down. It restores new passion in an person's physical relation in life, and is especially useful for the people, who have the vulnerability for developing depression. Garnet induces the feelings of enthusiasm, and happiness in the individuals. This Gem is Used as a Remedy for Bad effects of RAHU in Indian Vedic Astrology. During middle ages, swords and weapons of the warriors were bejeweled with Garnet as Hildegard von Bingen declared the possession of empowering effects of Garnet, that it is helpful in empowering others. Garnet is a holy stone with its vitalizing effect on an individual’s wisdom and spirituality. 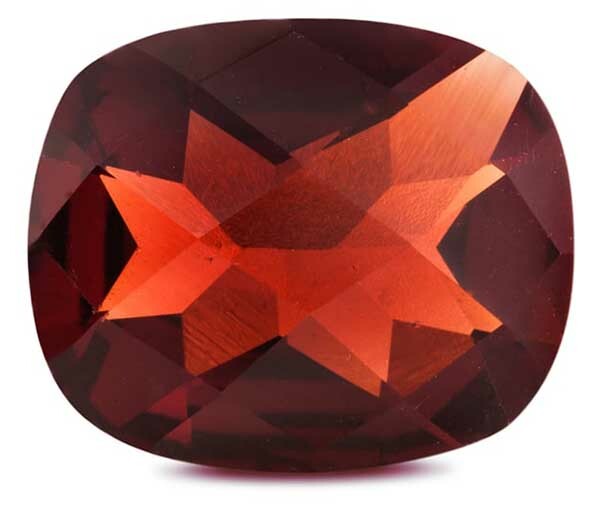 Not only do garnets have many colors, they also have many names: almandine, andradite, demantoid, grossularite, hessonite, pyrope, rhodolite, tsavorite, and uvarovite, to quote but a few. But let us restrict ourselves to the most important and begin with the red garnets. Garnet affects the blood circulation and strength of the heart. Garnet draws positive effects on catabolism and memory, and makes memory of the individual sharper. Despite of all the positive effects, it may negatively affect the passionate individuals. Garnet is an indication of hopefulness and enlivenment for individuals. Garnet draws good effects if used by Aries and Scorpio. When using Garnet, it should be in direct contact with skin, and if these stones are moveable, it will add to its effects. It should be washed by mildly warmed water once in a month and should be kept in sunlight in order to reenergize. Garnet is auspicious to anyone irrespective of where is Rahu placed in one’s birth chart. Garnet is worn to achieve success, wealth and fortune. Garnet brings harmony in one's married life. Wearing Garnet reduces distance between couples and kindle love, harmony and peace in domestic life. It is suggested that both partners should wear a Garnet. Garnet helps win lottery, earl huge black money, money from stock market. Wearing Garnet in a Ring in the middle finger brings stability in life and success in achieving financial goals, one acquires property. Wearing this in the index finger or wearing as a pendent is also good. 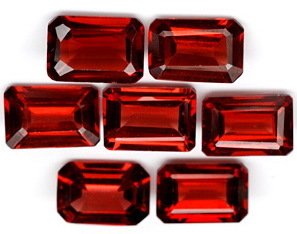 There are two commonly used Natural Garnet is available in the market. 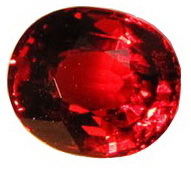 a) Ceylon Garnet : This is the best and trusted gem available. Depends on the quality and cuts there are gems Rs 300/-, Rs 500/-, Rs 700/- and Rs1,000/- Per Carat. b) African Garner: This is a cheaper one but still a natural Gem and not co crystal clear like Ceylon Garnet. There are various price available in the market but it should is Rs 50/- to Rs 100/- per Carat.